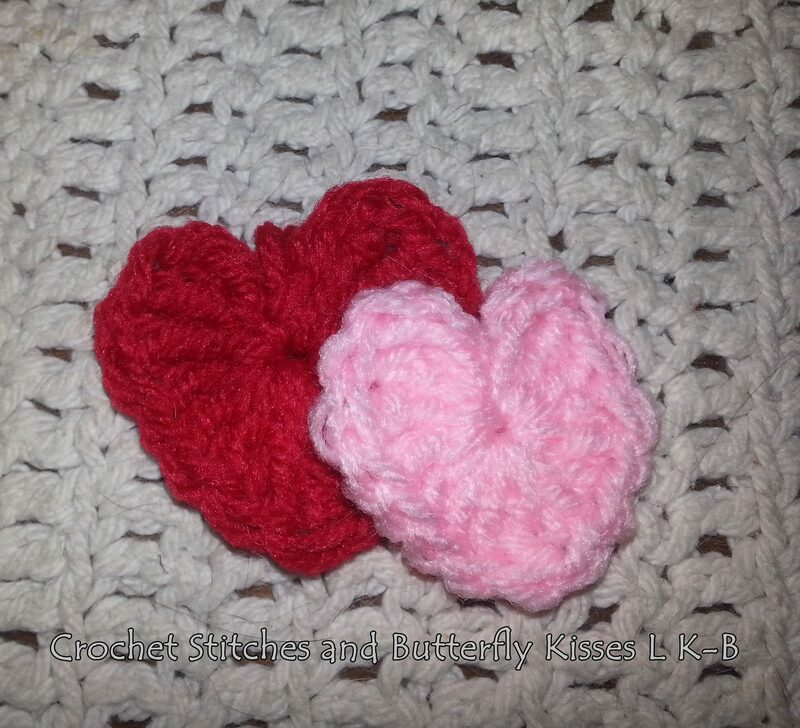 I saw this cute pattern posted on Red Heart‘s Facebook feed when I shared it, my friend asked me to make a couple sets for her to give as Christmas gifts. The pattern was a little different from what I’m used to. I think the last bit of each line is a summary. I also found the directions for the assembly / attaching of the flower were a little vague. I added thumbs for the toddle size (at the 5th row) since I think at that age they will feel more comfortable. 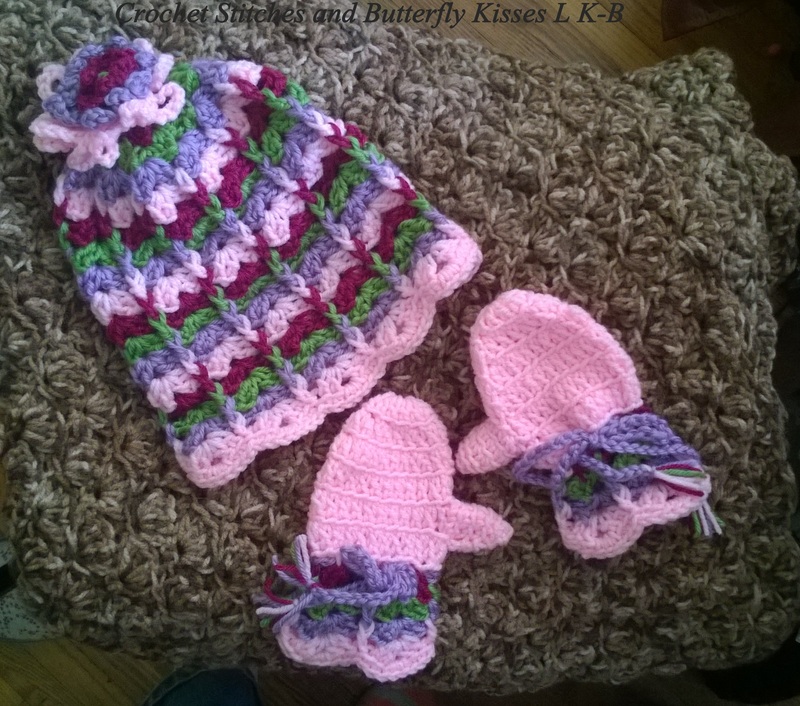 I used the Red Heart Soft yarn as recommended but had to use Red Heart Super Saver yarn for the light pink. (Wish my store had the light pink in Soft.) Overall it turns out to be an adorable set. This is my first summer with no bigger projects. I started with projects because of the many hours I used to spend sitting and watching / waiting for my kids. It used to be 2 to 3 hours at swim lessons 5 days a week plus 2 to 3 hours of baseball 4 / 5 nights a week plus trips to the pool with their cousins for several hours every couple of days. I had A LOT of time to work on projects. Now my babies are more grown up. Swim lessons are done, baseball is down to just a couple nights a week (and being score keeper my hands are busy), my oldest has a job and they don’t need Mom to be at the pool any more. So far this summer I’ve made a baby blanket to get ahead of things. Last fall/winter that’s all I did! I made a few scarves, one for daughter and one for Christmas gifts. I have a baby blanket the I started for someone at work but she’s left that job. I think I’ll finish the body and leave the trim. The sunshine yellow and elephant grey is trendy. I’ll personalize it when I have someone specific to give it to. 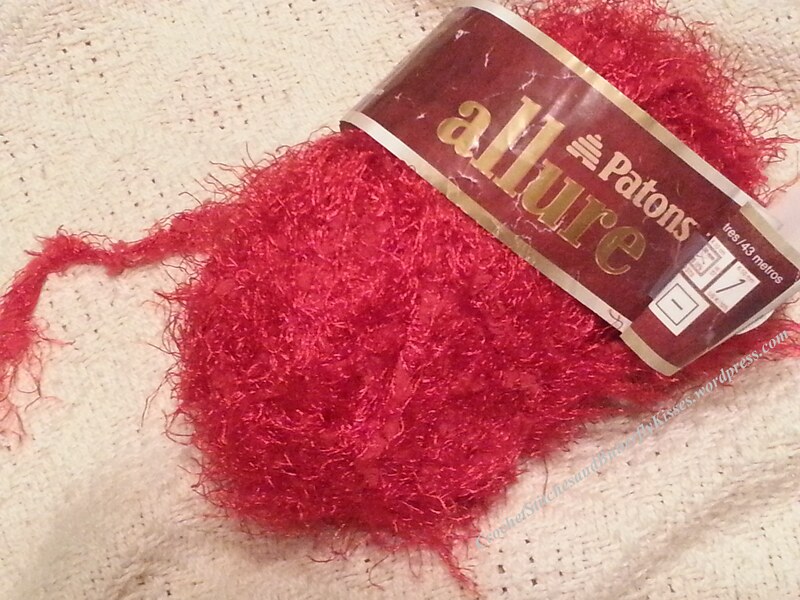 I t ried to make a shawl but had a very difficult time following the pattern. 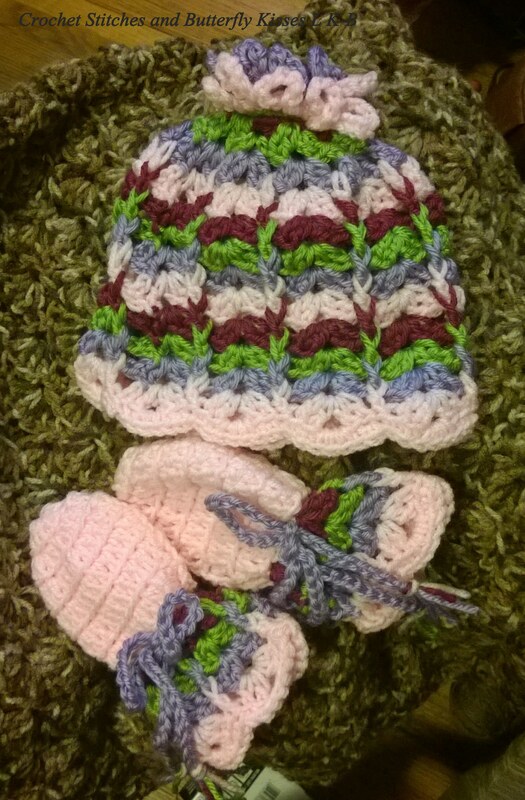 I gave up on the pattern and free formed it. Did NOT like that. So I just made a lap blanket. I also got a wonderful bag of possibilities! I’ll save that for another post.